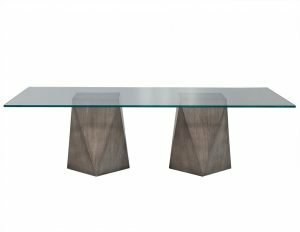 This made to order foyer table is part of the Carrocel Custom collection. 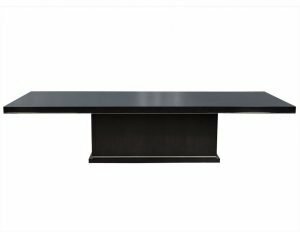 The base is crafted out of solid hand polished black lacquer and is geometric in shape. The tabletop is a black glass inset piece surrounded by a brass ring, adding more depth to the piece. A stunning addition to any modern home!